Finally, you can act like a hillbilly without having to knock your own teeth out. 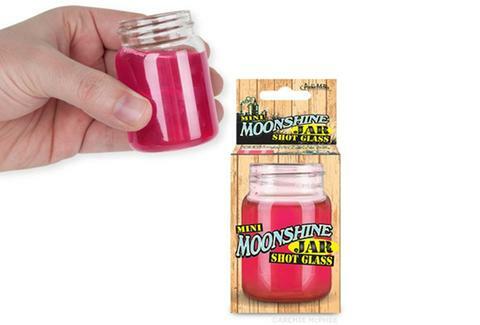 This 2 3/4-inch mason jar shot glass from the folks at Archie McPhee holds about 2 oz of your preferred poison, whether that's actual mash liquor or something with less blinding potential. Grab one of your own before your next banjo jam session.